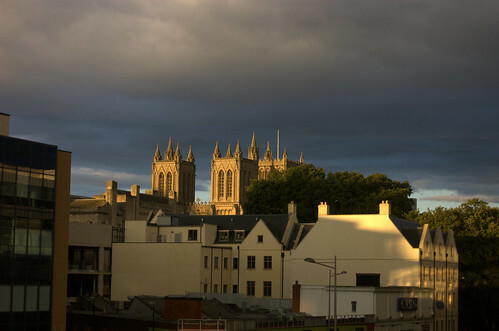 A Golden and Layered Light over Bristol Cathedral, originally uploaded by still awake. This entry was posted in Bristol, Bristol Photography, Photography and tagged Bristol Cathedral, Bristol Photography, Golden Light, Photography. Bookmark the permalink. Love the clash of dark and light. Its amazing when nature throws up bright sun onto a building, backed with doom-bringing clouds. Awesome.